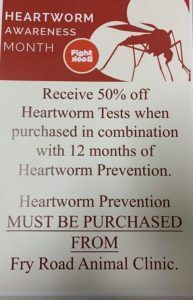 April is Heartworm Awareness Month and we are offering a special. 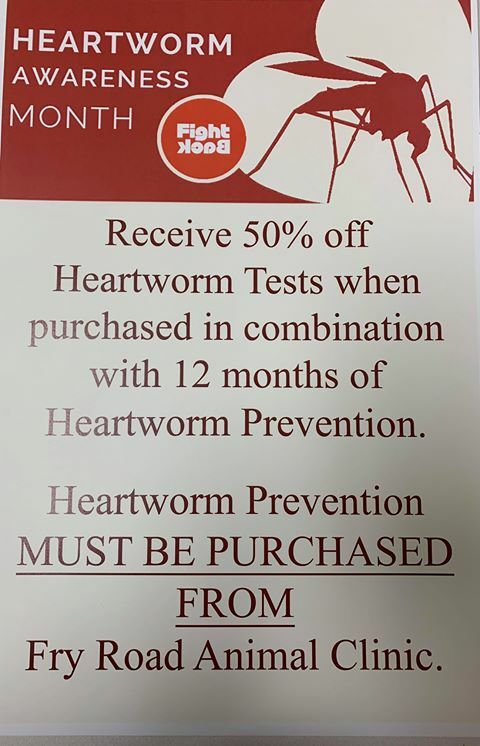 Receive 50% off of your heartworm test with purchase of a 12-month supply of heartworm prevention from our clinic. Call to schedule your appointment today!